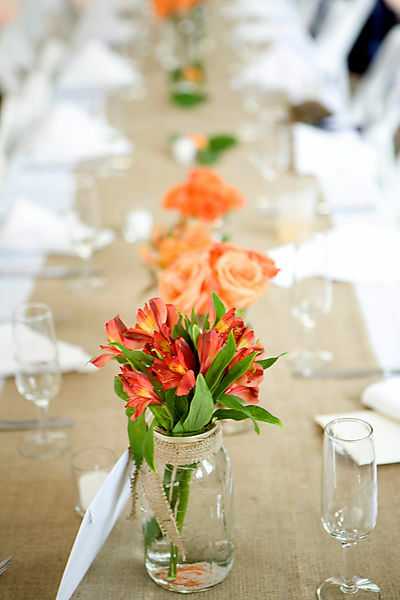 I’m started to notice a recent trend in decorating: mason jars. It’s fascinating to me that an item that is so basic, so simple, can bring out the most beautiful displays. 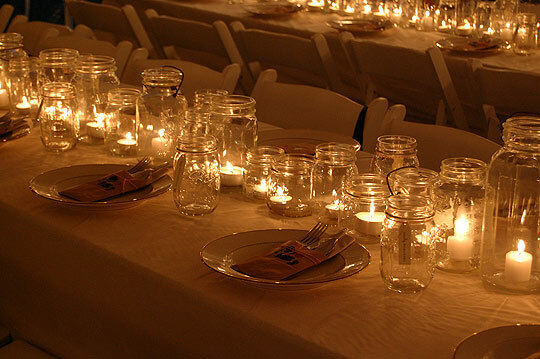 One of my goals this year is to make my own mason jar chandelier. 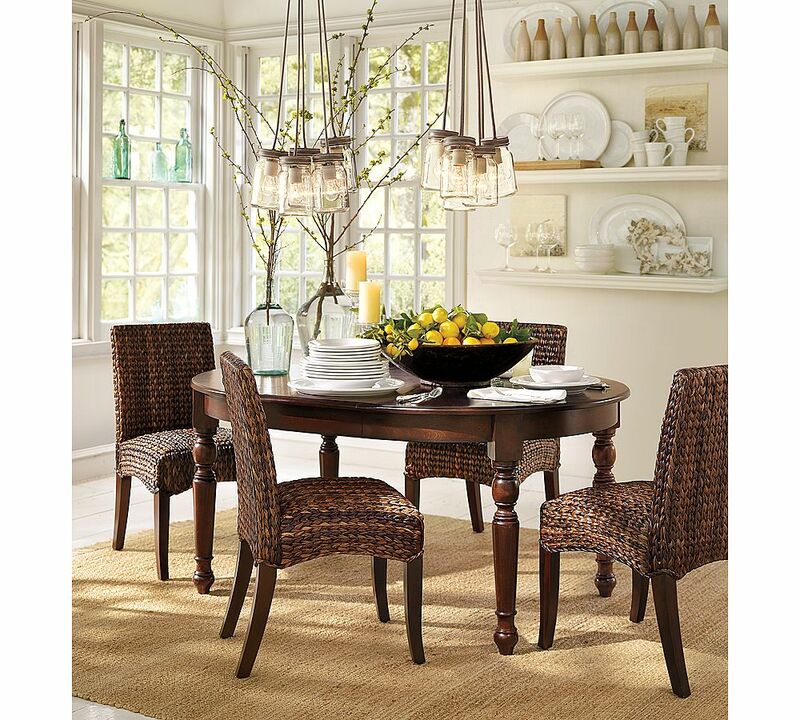 There’s something about their rustic beauty that makes any setting feel warm and inviting. 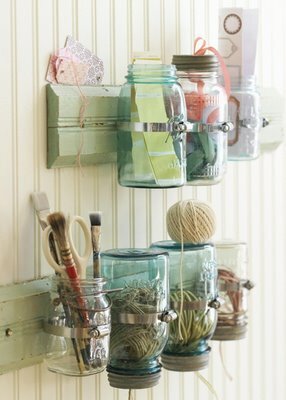 What do you think of the mason jar trend? 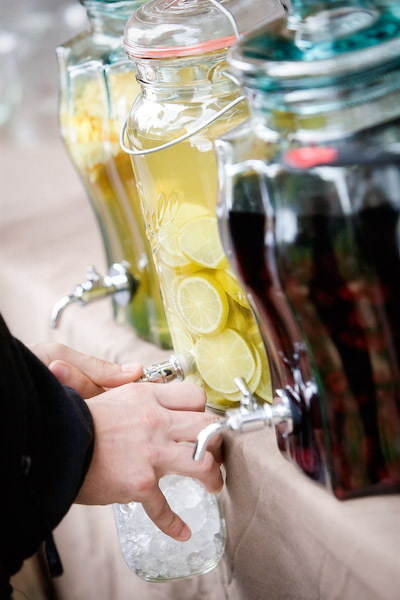 I remember you did this blog about mason jars and I thought of you today. 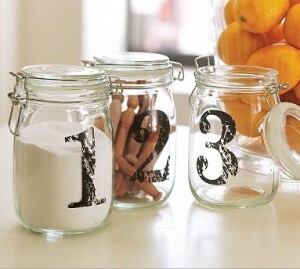 I was in the store Tuesday Morning and they had the mason jars with the numbers on it(the exact same ones pictured above) for $3.99 each!!! Such a deal! I wish I could think of something I could use them for cause they are super cute!! Hi there… Thanks for finding me! Isn’t that picture just amazing? I almost want to do something like that for our patio – so relaxing and romantic. Checked out your blog – I’m loving the pictures and inspiration! Love Love, Bia, youre such the Rustic type… I never knew! hi jacin! thanks for your comments! your blog is wonderful – full of great images and inspiring ideas. i’m definitely going to be a regular follower now! thank you for offer on the headline – I currently have a designer working on it for me, but i just had to get something up in the meantime. the huge white space was killing me! :) your header is phenominal and i hope mine will turn out as good. i’ll let you know when it’s complete – i’d love to get your feedback! Isn’t it beautiful? So romantic. Can’t wait to see them at your wedding!